Indian and pioneer trail from Anthony’s Ferry (Henderson, Ky.) on Ohio River to Vincennes. Connected with road to Nashville and there with Natchez Trace. Served Illinois trails, north and west, at Vincennes. Erected 1966 by Indiana Daughters of the American Revolution. Location. 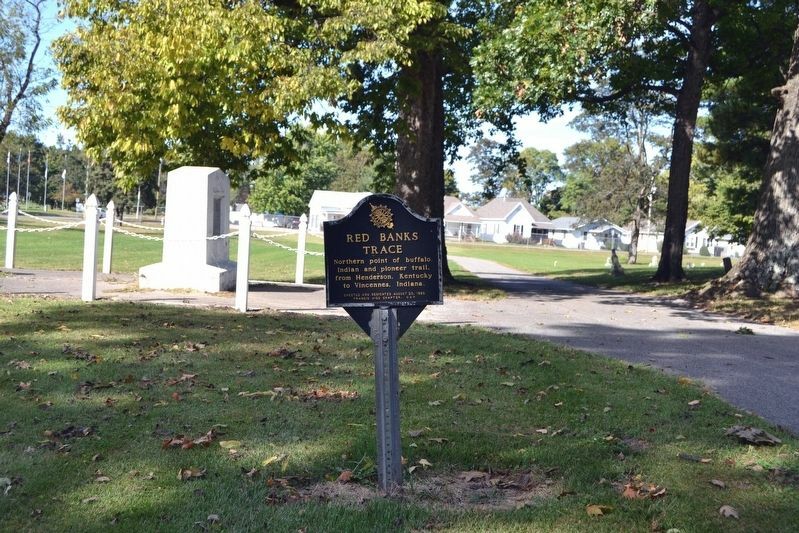 38° 40.086′ N, 87° 32.066′ W. Marker is in Vincennes, Indiana, in Knox County. 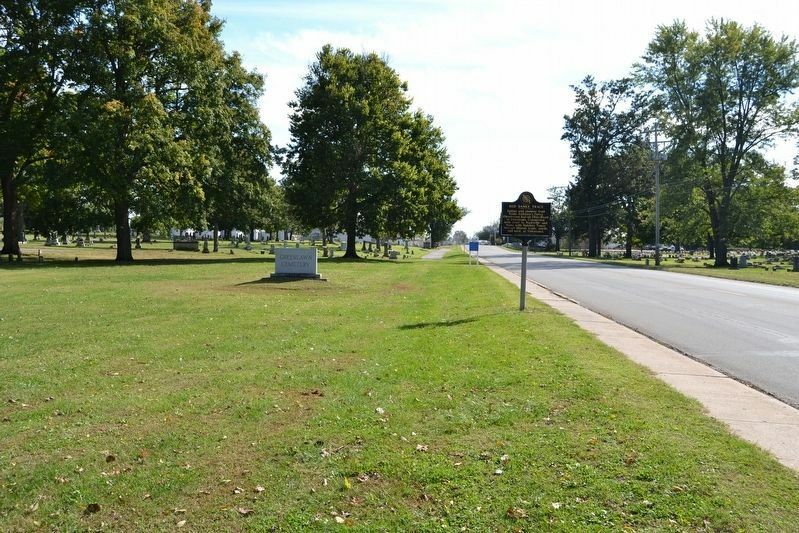 Marker is on Willow Street (Business U.S. 41) 0.1 miles south of S. 10th Street, on the left when traveling south. Touch for map. Marker is in this post office area: Vincennes IN 47591, United States of America. Touch for directions. (approx. 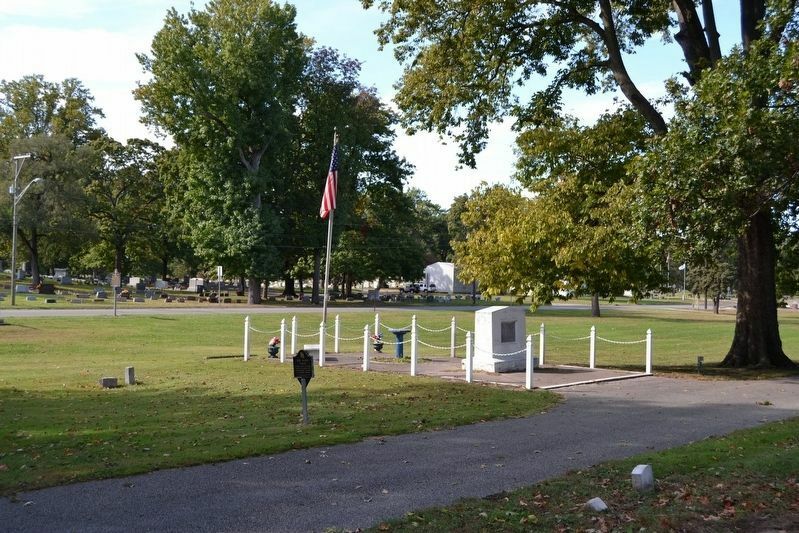 ¾ mile away); Knox County Veterans Memorial Park (approx. 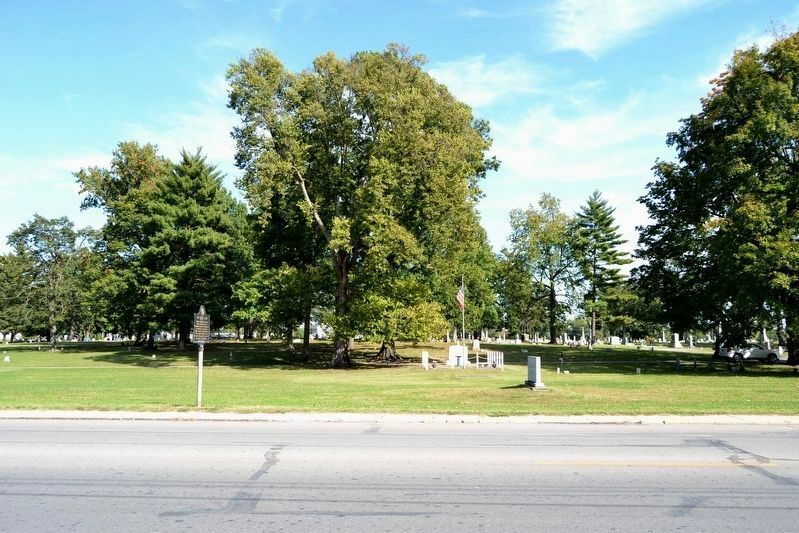 ¾ mile away); Knox County (Indiana) Civil War Memorial (approx. ¾ mile away); The First Presbyterian Church In Indiana Territory (approx. ¾ mile away). Touch for a list and map of all markers in Vincennes. Northern point of buffalo, Indian and pioneer trail, from Henderson, Kentucky to Vincennes, Indiana. More. 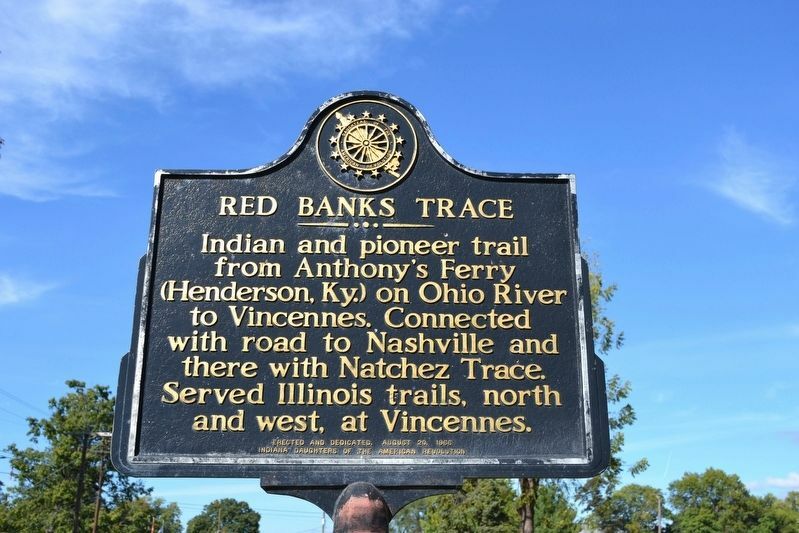 Search the internet for Red Banks Trace. Credits. This page was last revised on October 25, 2016. This page originally submitted on October 25, 2016, by Duane Hall of Abilene, Texas. This page has been viewed 197 times since then and 16 times this year. Photos: 1, 2, 3, 4, 5. submitted on October 25, 2016, by Duane Hall of Abilene, Texas.